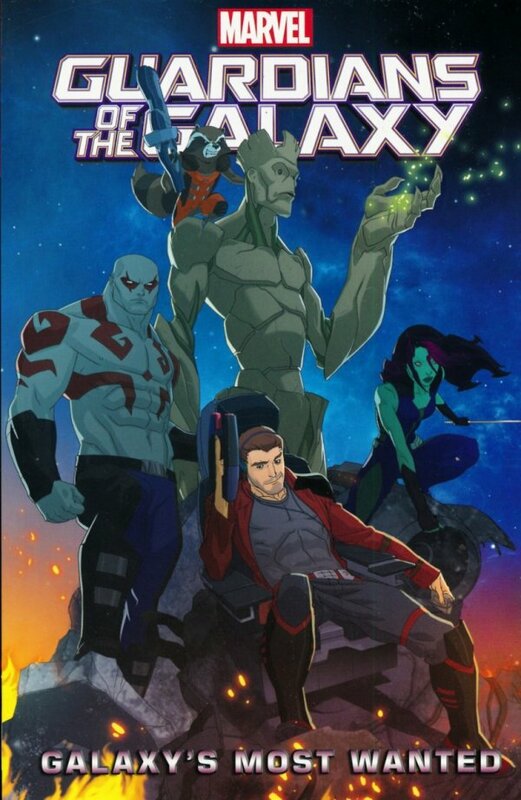 Based on the highly anticipated new animated series coming to Disney XD in 2015, follow the further adventures of the Guardians of the Galaxy! • With a galaxy full of danger, only the Guardians stand between us and the destruction of everything! Be glad these guys are on our side! • Learn more about the most daring heroes in the galaxy as they face down deadly villains and fearsome foes - all while trying to get along with one another! • Rocket and Groot find themselves in the spotlight as one adventure hits home for the unlikely pals! • As the threats build and the pressure mounts, is this the end for our dear Guardians...or can they save the galaxy one more time? Collecting MARVEL UNIVERSE GUARDIANS OF THE GALAXY #1-4.